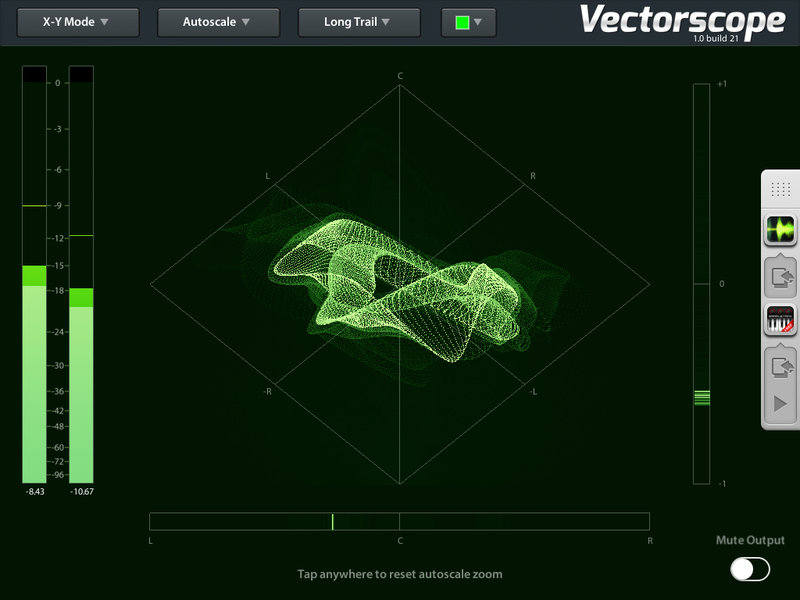 Vectorscope by 9Labs is a Mobile Audio App. 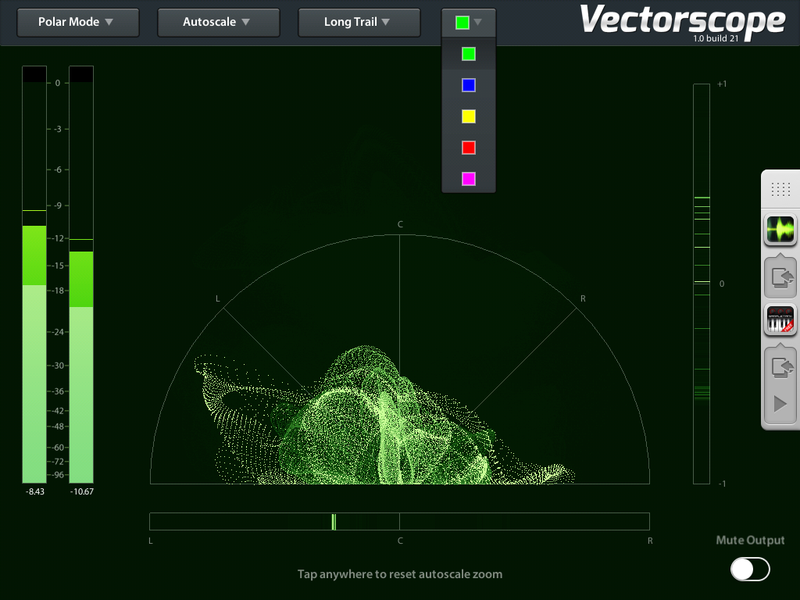 Vectorscope is the perfect tool to analyze your stereo material. Whether you are a producer, mixer, recording artist, or student, we believe that Vectorscope will soon become an indispensable tool for all your stereo audio needs. 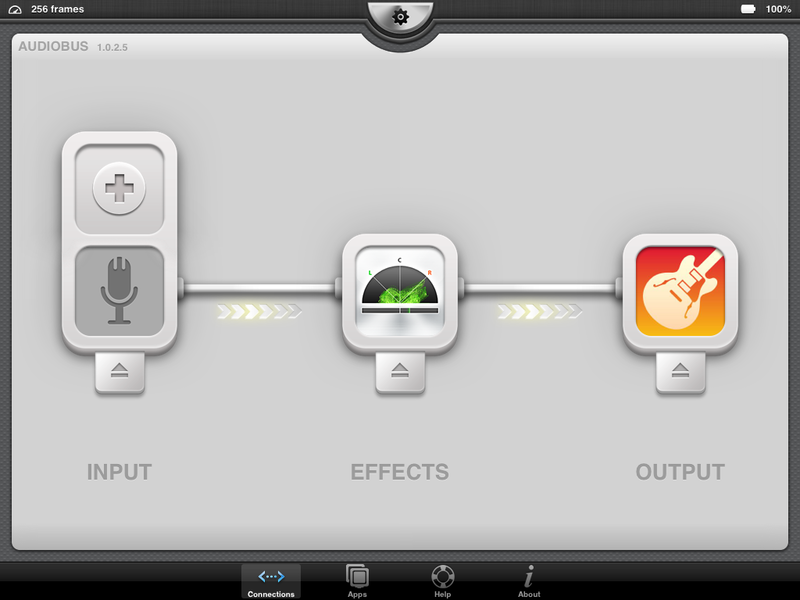 Vectorscope accepts audio coming either from an external iOS-compatible audio device or from an Audiobus-compatible app. Choosing one mode or the other couldn't be easier: When the app is connected to Audiobus, the audio will be routed automatically thru it, otherwise the chosen audio source will be external — that simple. Identifying issues in the stereo image. Checking phase and stereo balance issues. Stereo metering featuring peak, RMS, peak hold, and max peak readings. 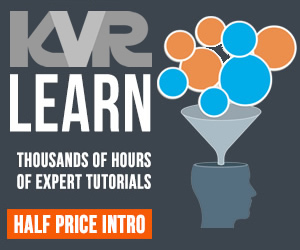 As an educational tool for audio engineering students. All kind of Audiobus addicts. Stereo metering with RMS, peak, peak hold, and max peak readings. Autoscale or manual zoom (1x-8x).